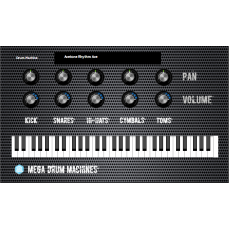 This plugin is the AU/VST Version of the Mega Drum Machines Collection for Kontakt. The plugin contains samples of about 130 old, vintage, obscure, rare and hard to find drum machines. This gives me a really good time travel, thanks for this nice collection!